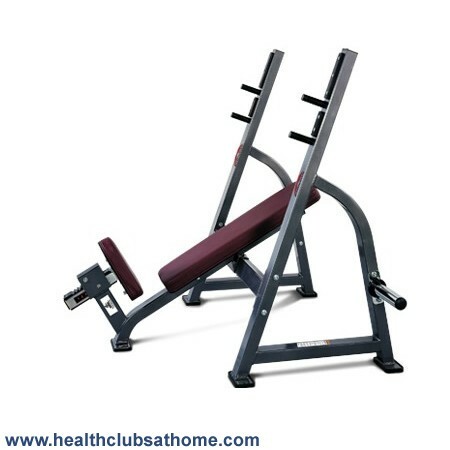 Angled at 30 degrees to emphasize the upper pectorials, the Johnson Olympic Incline Bench is suitable for full commercial use and is built to last. Each Johnson Line unit is stong, durable, robust and built to last. The Johnson Olympic Incline Bench is a great addition to any gym and comes with a Platinum coloured powder coated 3mm 11-guage steel frame with Obsidian Black upholstry.